Looking to buy a home on Staten Island? 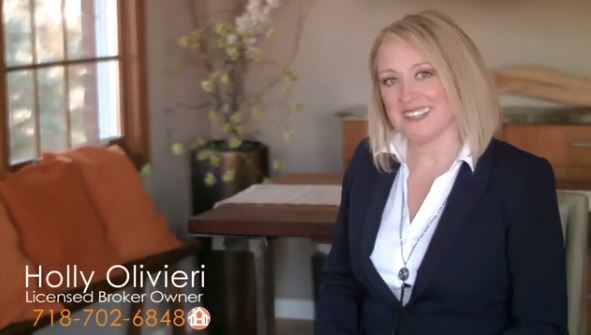 Holly’s Staten Island Buzz Realty will provide you with a FREE buyer’s consultation. Our consulting assesses your goals, needs, and fears so we can guide and educate you through the entire home buying process. Holly’s Staten Island Buzz Realty wants to listen to YOUR story. Understanding what motivates your home buying aspirations equally motivates us to find you the perfect property! Plan: Holly’s Staten Island Buzz Realty will help you determine a best-for-you timeline and create checklists of what to do and when during the home buying process. Strategize: Guided by my expertise, we will strategize how to maximize your budget, attain your desired location, and find a property that will provide the maximum return on your investment. Finalize: Once we’ve found your dream home and locked down a contract you can be happy with, I’ll share in your celebration as I hand over your keys! How do you know if you could benefit from Holly’s Staten Island Buzz Realty Free Consultation? Are you a homeowner who’s trying to decide whether to “move or improve” and wishes they could get an experienced, objective opinion? Are you a first-time buyer who isn’t sure they’re ready to purchase a home, but would like some guidance on the market? Did a past experience with another broker leave you feeling disappointed because they couldn’t get the job done? No matter where you are in the process, there are no judgments here. Let me draw you a personal roadmap, starting with the end in mind, mapping out the most direct route to help you achieve your home buying goals. Remember, our personalized home buying service keeps your goals and needs our number one priority! Choose Holly’s Staten Island Buzz Realty, 60 Bay St. Suite 701 Staten Island N.Y.10301.